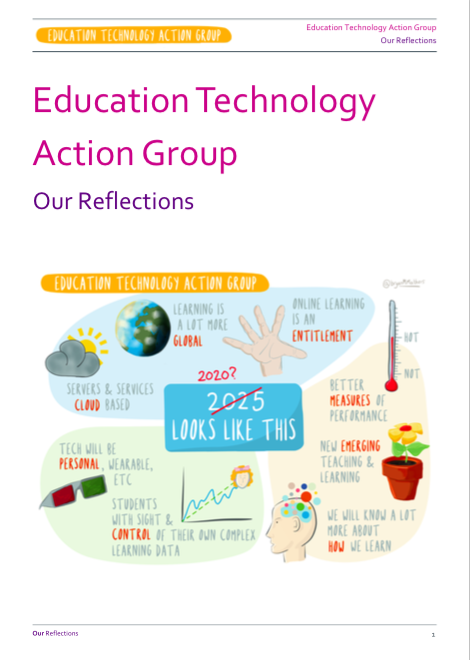 At the beginning of 2014, Ministers from DfE and BIS set up the Education Technology Action Group (ETAG). We are an independent group and we were asked to advise on how digital technology might empower teachers and learners by enabling innovation across schools, further education and higher education sectors for the benefit of students, employers and the wider economy. The group is chaired by Stephen Heppell who has authored the approach presented here on the basis of contributions from other ETAG members. 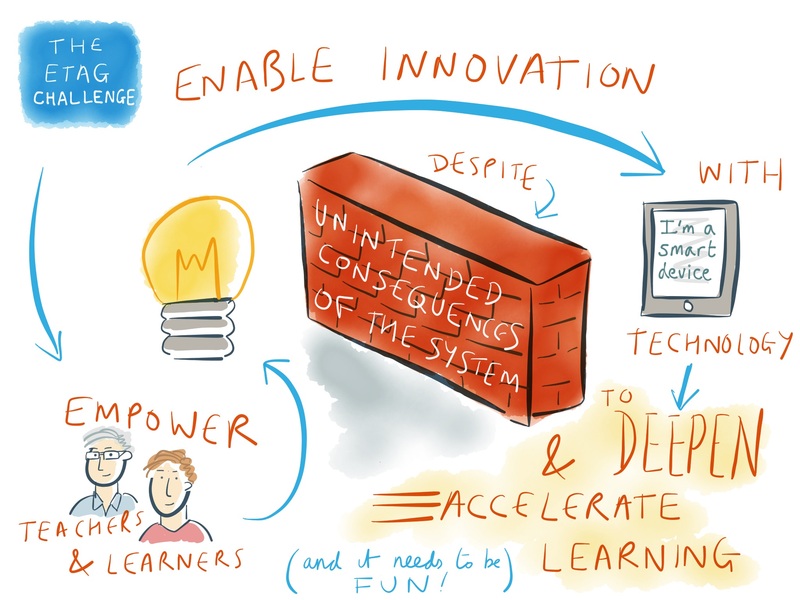 Fundamentally, we concluded that the use of digital technology in education is not optional. Competence with digital technology to find information, to create, to critique and share knowledge, is an essential contemporary skill set. It belongs at the heart of education. Learners should receive recognition for their level of mastery; teachers and lecturers should too. Digital technology can and should bring joy and engagement: a delight in stellar progress, the exhilaration of unexpected challenges, some playfulness, the reaffirmation of a global audience. Some things will need to move over, to be dropped, to change and to vary to allow all this to happen. We are calling for everyone to play their part in enabling this progress.